With an average annual rainfall of nearly 37 inches, it’s no secret that Portland is a pretty wet place. 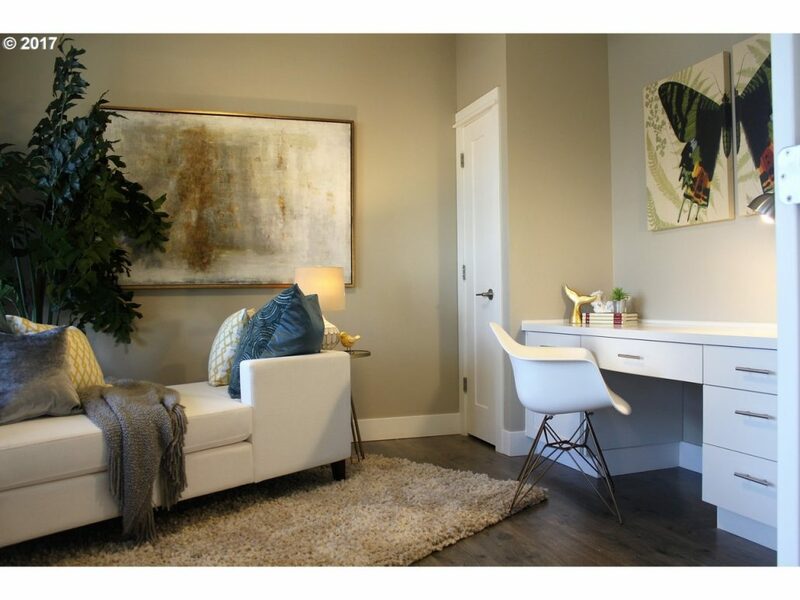 At RMH Bartels Construction, we have been helping Portlanders keep all that water out of their homes for over 15 years with our basement waterproofing services. A wet basement can lead to expensive mold problems and property damage. It can even be a sign of a cracked foundation. If your basement leaks or you have basement cracks, our experienced professionals can diagnose the problem and fix it in a timely manner. We are dedicated to providing our customers the best value possible for basement repairs to protect their homes now and in the future. There are many signs that your home may need basement repairs. The first and most obvious sign is a wet basement. That can take the form of standing water, leaky windows, condensation, or wet or damp basement walls or basement flooring. Mold or mildew is also a likely indicator that your basement is not waterproof. Even if water is not leaking into your basement per se, condensation may be permeating your basement walls, leading to mold and mildew growth. Another sure sign of moisture is white or gray crystal deposits on your basement walls or floor, also called efflorescence. Efflorescence is a result of salt deposits left behind by water and often indicates greater underlying problems caused by basement leaks. If your basement smells musty or has damp air, or if you notice structural concerns like basement cracks, don’t wait. Call us today at (503) 896-2233 to get an expert assessment. Acting fast is essential to minimizing damage and basement repair costs. How does basement repair work? Basement repairs can take many different forms depending on your needs. If your basement leaks, you may need interior and exterior waterproofing to take care of any basement cracks and to ensure that they do not reoccur. Along with waterproofing your basement, it is also important to clean up any existing water and repair any damage that has resulted from having a wet basement. When necessary, we’ll create proper drainage beneath your foundation to prevent water from collecting under your house. This drainage will allow water to flow into a sump basin instead of causing cracks and seeping through your basement flooring. Any water is then sent away from your house by a sump pump to drain safely. Lastly, we’ll repair any cracks in your basement walls and possibly even install a vapor barrier, which will prevent condensation from forming on or inside your basement walls. Managing the water outside your house is every bit as important as addressing issues inside your basement. A waterproof wall coating and/or foundation membrane for the outside of your basement walls will prevent water from cracking your foundation and causing basement leaks. Additionally, by properly setting up your gutters, downspouts, and ground-level drainage, we can minimize the amount of water that comes in contact with your foundation in the first place. As part of your basement waterproofing process, we will also remove existing moisture from your basement and repair any damage caused by it. Not only will we help you dry out your wet basement, but, because we are a full-service construction contractor, we can also repair and paint any damaged drywall or basement flooring. The cost of basement waterproofing can vary widely depending upon the type of repairs and extent of any damage. One thing is always certain, however: your basement repair costs now will be substantially less expensive than allowing the problem to persist untreated. Acting quickly is very important to preserving the structural integrity of your house and will prevent any basement cracks from growing worse. Not only that, but mold and mildew problems can cause serious health issues. Increased allergies, asthma, and even severe mold infections can afflict people who live in leaky homes. We’ll assess your unique needs and develop a custom solution that maximizes your value with a longterm basement repair that will protect your home and give you peace of mind. 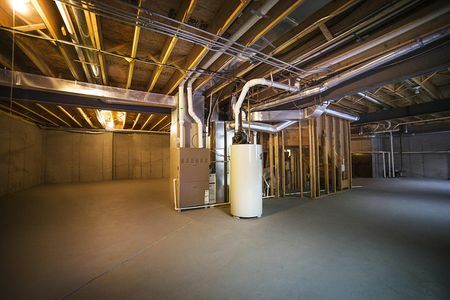 We have been assisting Portland homeowners with their basement repair and other construction needs for over 15 years. As Portland residents, we take pride in improving our communities with high-quality construction projects. We are your neighbors, and it’s likely that you’ve seen our work as you walk or drive around town. Our projects are personal to us and so is the satisfaction of our clients. When you work with RMH Bartels Construction, we’ll give you a full assessment of your needs and develop a custom solution that is unique to your home. We are committed to providing the most cost-effective services possible to our customers, getting your project right the first time so you never need to get work done twice. If you think your home may need basement repairs, give us a call at (503) 896-2233 or toll-free at (800) 555-5445. We’ll assess whether you need basement waterproofing a develop the best plan for the job.